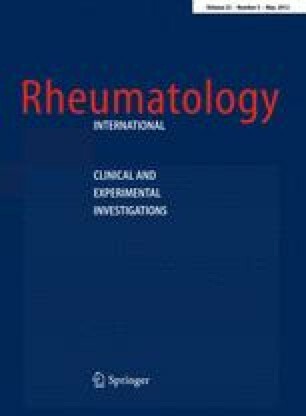 The aim of this study was to evaluate the efficacy of treatment with mud pack in knee osteoarthritis (OA) and to determine whether mud pack effects serum levels of YKL-40 and high-sensitivity C-reactive protein (hsCRP) which are reported to be biological markers for articular damage or inflammation in patients with OA. Forty-four patients with the diagnosis of knee OA assigned into two groups were treated with local natural mineral-rich mud pack or hot pack. Treatments were applied for 6 days a week for 2 weeks as a total of 12 sessions. Patients were assessed at baseline, post-treatment, and 3 months after the treatment. VAS, range of motion, 15-m walking time, WOMAC index, Nottingham Health Profile, serum YKL-40, and hsCRP levels were the outcome measures. Pain intensity and joint stiffness decreased in both groups at all follow-ups. Physical activity status was found to persist for 3 months after treatment only in mud pack group. Serum mean YKL-40 and hsCRP levels of the patients were higher compared to healthy control group. Serum YKL-40 level increased significantly only in hot pack group 3 months after the treatment (P < 0.017). No significant change was observed in hsCRP levels in both groups during the whole follow-up periods (P > 0.05). Mud pack and hot pack therapy were both demonstrated to be effective in symptomatic treatment of knee OA until the end of the 2-week treatment period, whereas only mud pack therapy was shown to be effective in functional status over time. In the hot pack group, increased serum YKL-40 level 3 months after the treatment might indicate persistence of cartilage degradation. Maintenance of YKL-40 level in mud pack therapy seems to slow down the progression of knee OA. The preliminary report of this paper was presented in the 5th World Congress of the International Society of Physical and Rehabilitation Medicine (ISPRM), June 13–17, 2009, Istanbul. We would like to thank Umut Thermal & Spa Resort for their contribution for sponsoring mud and transportation. “Pamukkale University Scientific Research Projects Management Unit” provided funding for the study (Project number: 2002MHF001).